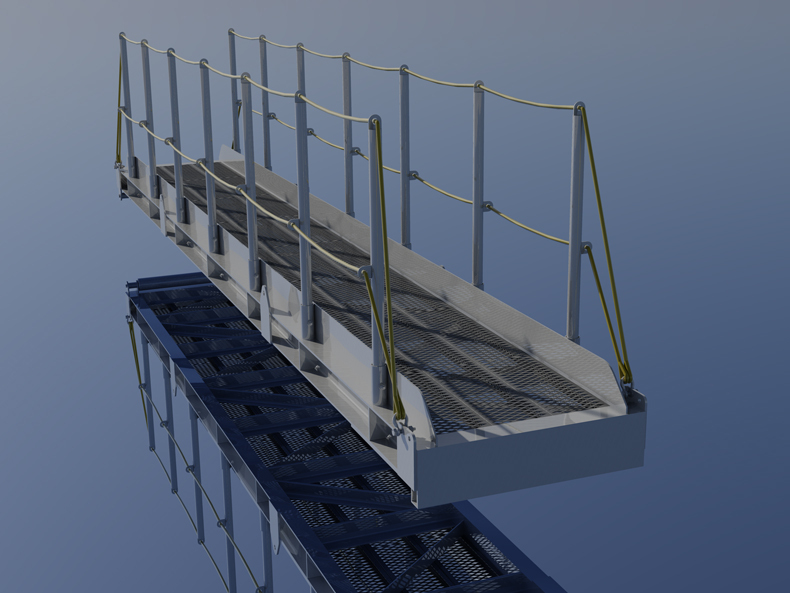 Using the same principles of traditional full scale lines fairing in the loft of a shipyard, long ago dubbed “lofting,” MSI uses ShipConstructor software to create a full scale 3D model of your project. 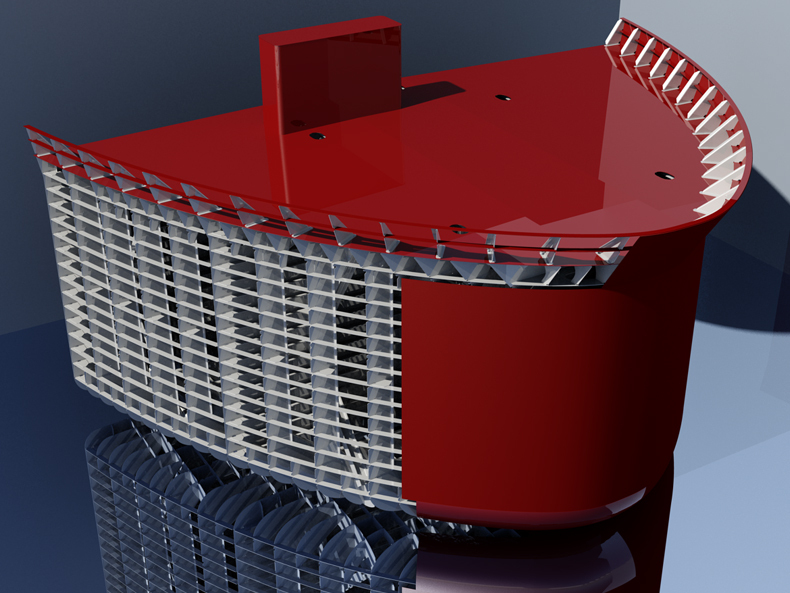 This 3D model is used to nest all the parts of the vessel and create NC code for the cutting bed. 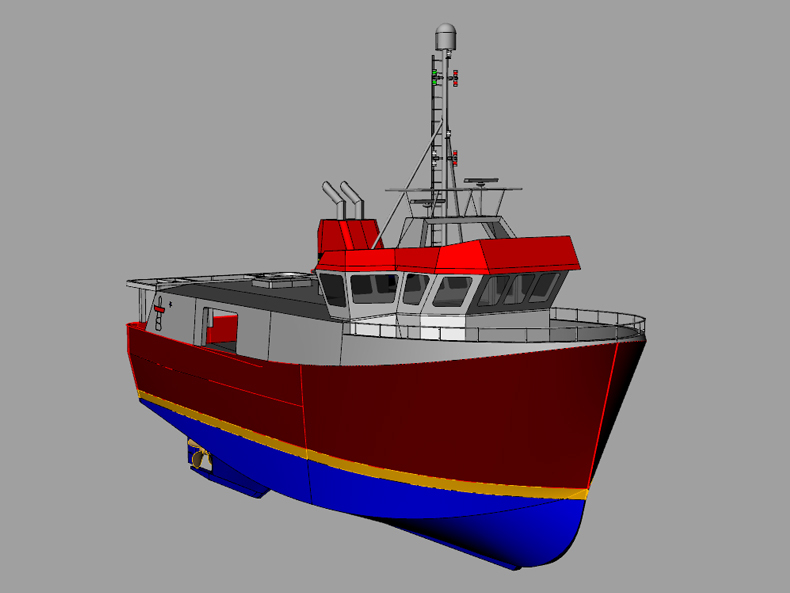 We also create the drawings needed for fabrication of the vessel. 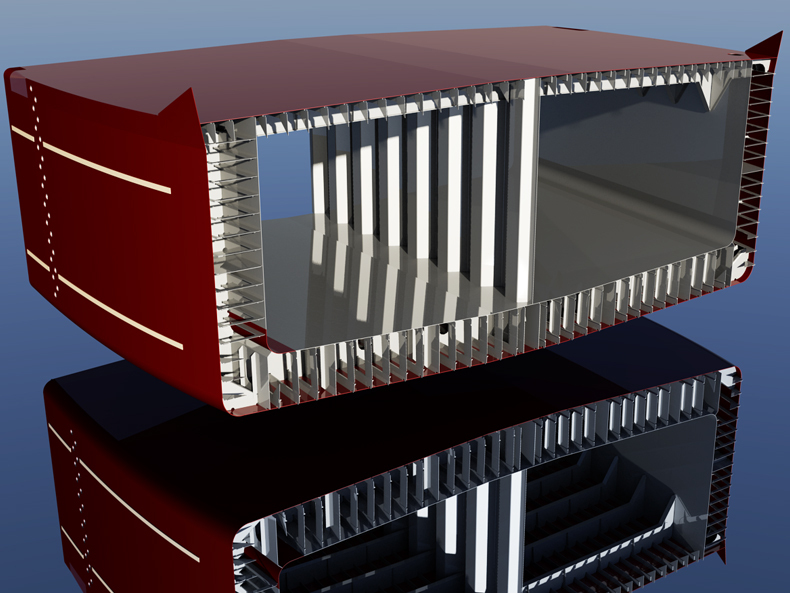 The final result is a “kit” that allows the builder to reliably transform a stack of plates and profiles into the real product, while saving time and money and allowing the builder to instill confidence and remain competitive in their industry. Eliminates part clashes and enables space allocation for parts and equipment. 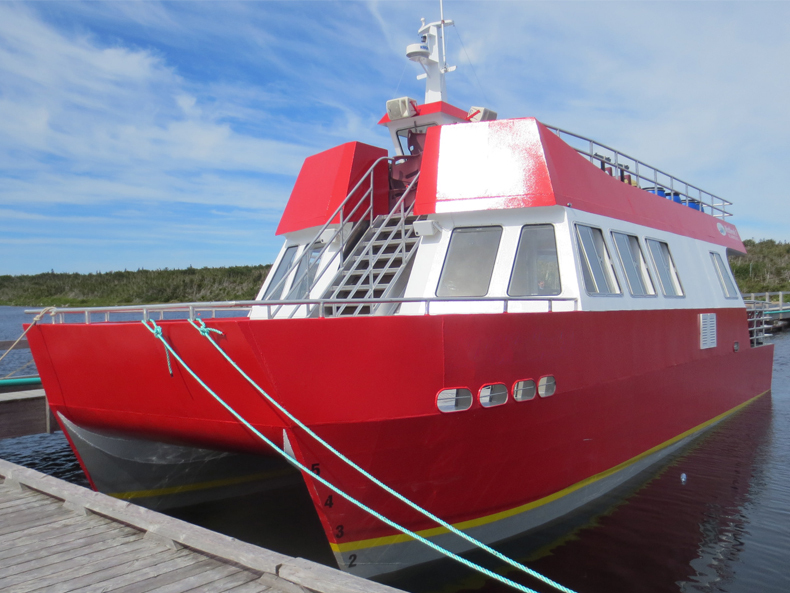 Reduces delays during construction, re-work and overall time spent on the vessel. 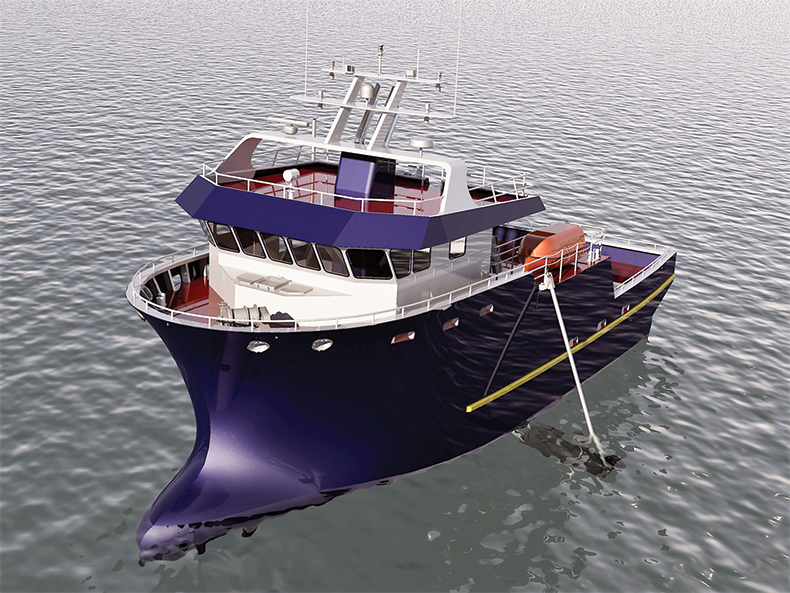 Utilizes ShipConstructor, a fully integrated cross-discipline 3D modeling software. 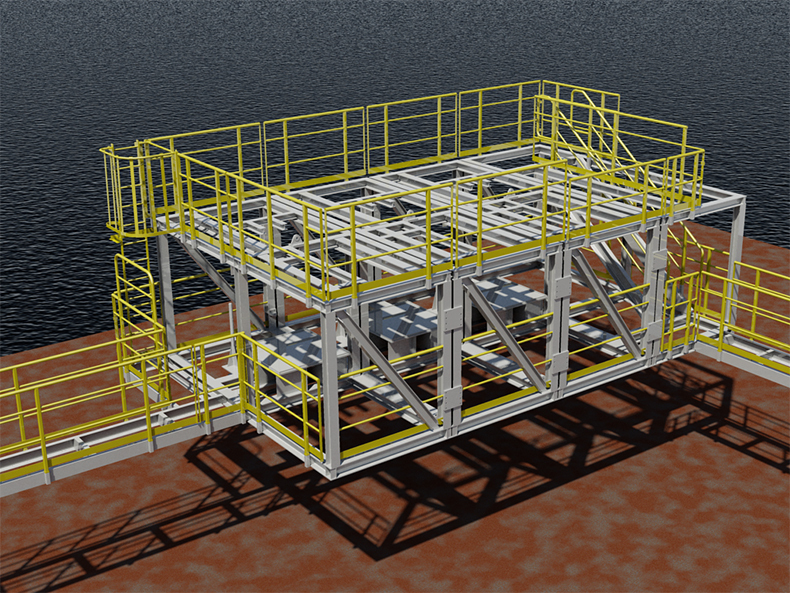 3D model allows visualization that helps with planning, client interaction and design approval. 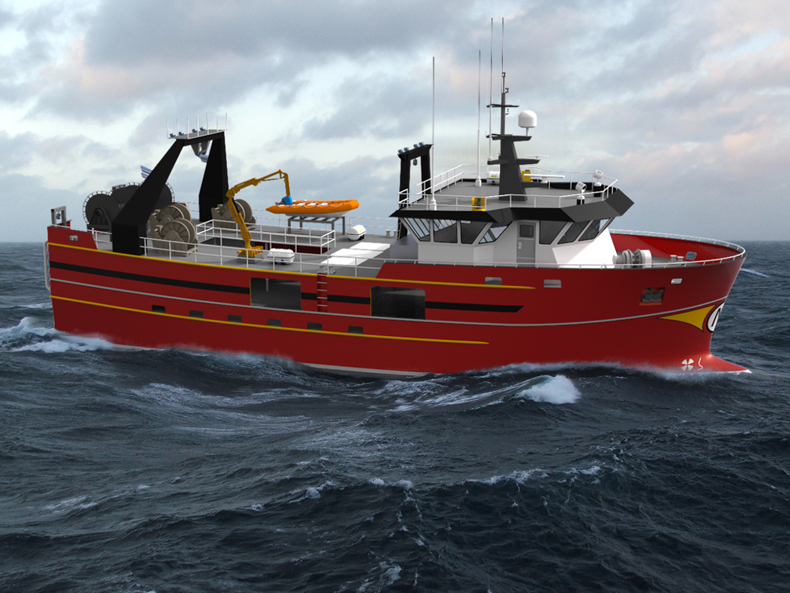 Allows the ability to tackle larger and more complex projects with increased productivity. 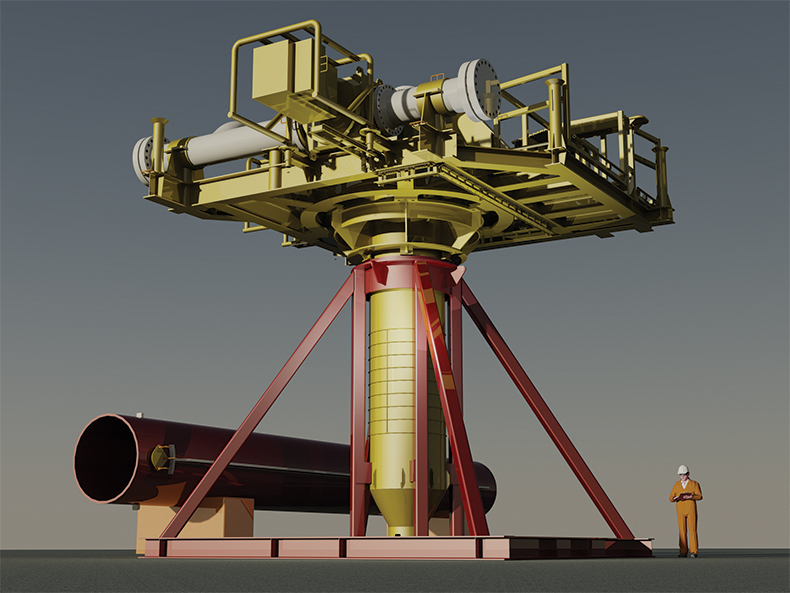 ShipConstructor runs on an AutoCAD foundation and the entire project is linked to a database that runs in the background. 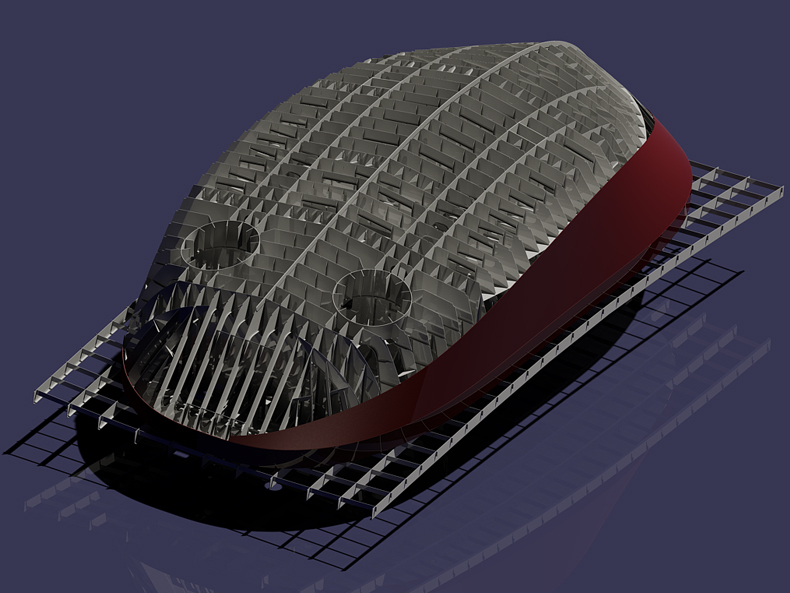 This enables accurate modeling of all parts in 3D, whether it be curved shell plated, flat plate, flanged plate, extruded profiles, brackets, piping, outfitting, etc. All necessary geometry such as stiffener cut-outs, weld reliefs, access holes, stiffener mark lines, direction icons, and forming info is included. The database itself contains all the information about each part including stock sizes, part names, weights and centers, plate thickness, material, throws, etc. All together, the model and database combined creates a powerful and efficient tool for producing and managing the smallest or most complex of projects. 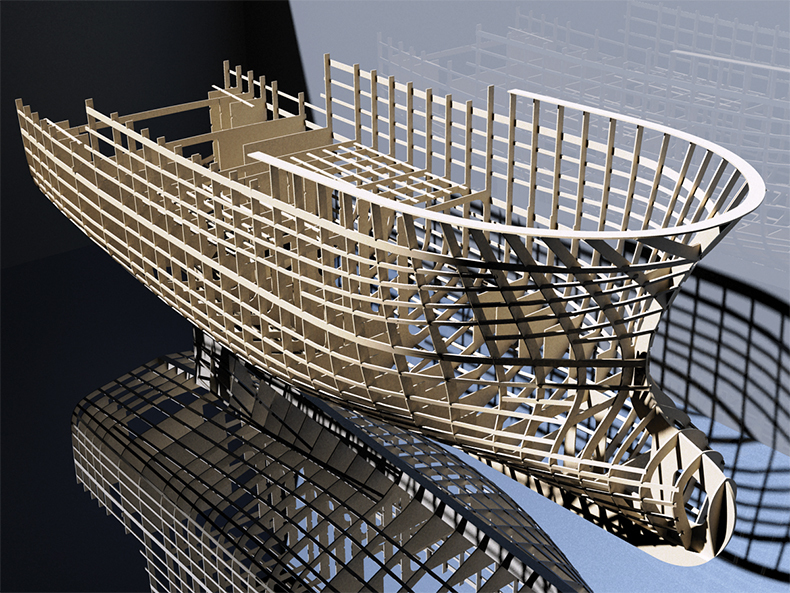 Using the surface technology of ShipConstructor, simple or complex curved shapes are created and analyzed for strain then expanded with markings ready for nesting and cutting. 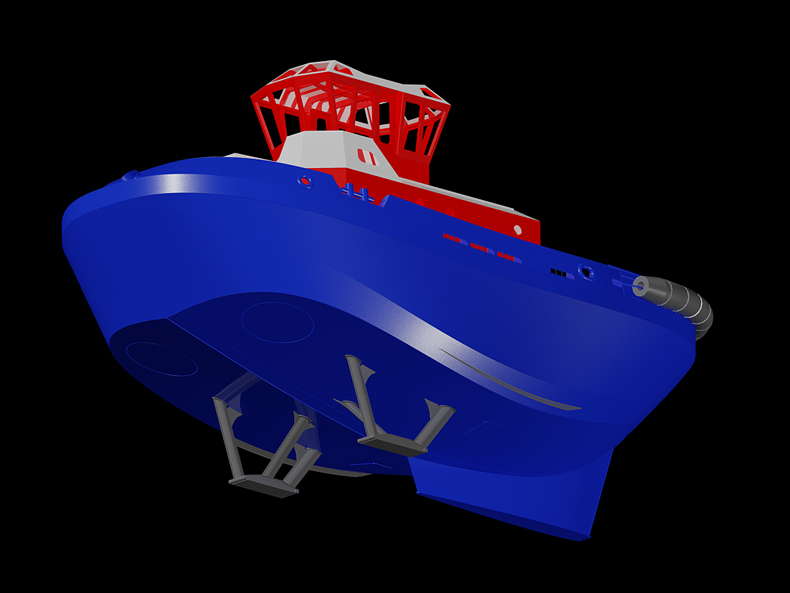 Since the curved parts are integral within the model, it makes certain that all internal parts fit exactly with the shell and ensures a quality finished product. A product breakdown structure is critical to planning and assigns each part within a build sequence that aids the fabricator and designer. This breakdown of spools, panels, assemblies, and units is the key to creating a set of assembly drawings that enhances productivity and turns the shop floor into an assembly line. 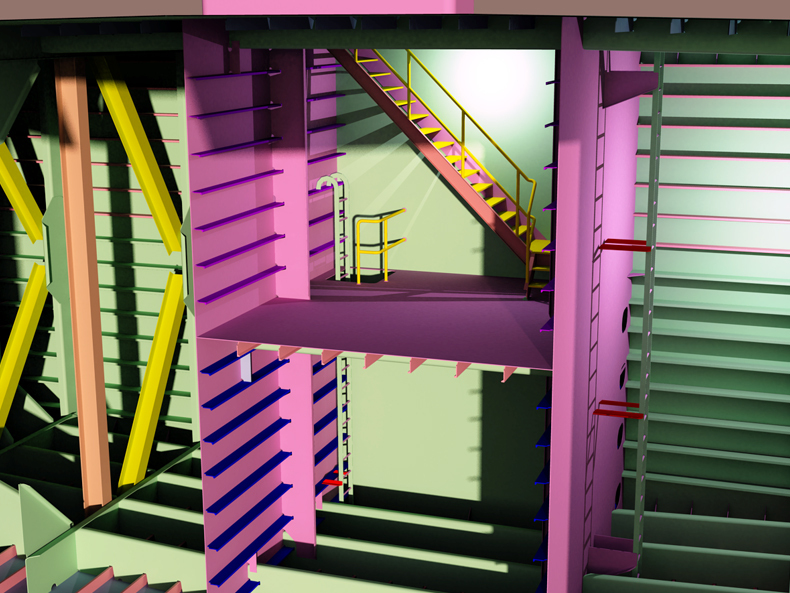 Detailed build instructions in the form of assembly drawings display the structure broken down by the product hierarchy and are shown in both isometric and orthographic views. A bill of material is included with annotations and the views are complete with dimensions, reference locations, direction icons, throws, welding information and section details as required by the shop floor. To minimize material waste, all plate parts are neatly nested on available plate stock complete with a bill of material and sorted by thickness. All marking information is included and each nest tape can be sent as a dxf file or processed into NC code that can be configured for any type of cutting machine. Profile plots, or cut sketches, contain all the information necessary for pre-fabrication of profiles or extrusions with forming information given as offsets, roll info, or inverse bending lines. To reduce waste, profiles can also be nested on available stock lengths to utilize the raw material to the maximum. Custom part reports can be provided by extracting the information from the project database and are useful tools that aid in planning, fabrication, inventory control, part sorting, weight controls, etc.